Auto Chat Profits sales page shows “Auto Chat Profits” officially sold out. I can't find any reason as to why this software that claims can help many people make automated income will be sold out. We all know that the capacity of simple technology like Auto Chat Profits can be scaled as long as the owner is willing to invest more. There's no way any software can be sold out. Have you ever heard of big software brands like Salesforce, AWeber, Hostgator, Microsoft Office and LeadPages be sold out? I guess Auto Chat Profits software can only generate income for the owner but can't generate long-term income for customers. To prevent complaints and refund, the owner decided to discontinue this product. Otherwise, I can't think of any reason why any software can be discontinued. Does Auto Chat Profits Leverage on AI Technology to Make Money For You? Auto Chat Profits is a software that claims to leverage on AI technology to help you generate automated income from Clickbank. The popularity of this program has surpassed a gravity of 67 out of 100 in Clickbank, which is considered very high, since its launch early Jan, 2019. At the time I am writing this Auto Chat Profits review, the product is ranked no. 5 on Clickbank, behind Profit Injector, a YouTube affiliate system that I reviewed yesterday. Is there really AI technology inside Auto Chat Profits or this is merely an automated Q&A system that helps you decide what to buy based on your selected answer? Of course, when you found my page, I believe what you really are interested to know is not about the technology Auto Chat Profits use, but rather is about whether Auto Chat Profits can generate automated income for you as what they claimed. You have definitely found the right page to get insights into back end of Auto Chat Profits. When it comes to Auto Chat Profits, it might not be as great as you were told inside their sales page. When you read until the end of this page, you might find something you've never heard before about this program. What I Like About Auto Chat Profits? How Much Is Auto Chat Profits? Can Auto Chat Profits Make Money For You? Summary: A website created solely based on chat bot is not able to generate income for you unless you sell this product to a market where e-marketing industry is still at infant stage. However, this might not be ethical as your customers will not be able to make money doing the same, unless they buy the expensive upsell. Before doing this Auto Chat Profits Review, I recently completed a review on Profit Injector which is a product created by Jamie Lewis that teaches you how to make money from YouTube. Like Profit Injector, Auto Chat Profits sales video is also a high income pitch and made the claim that its sales page is private and never made public. This is already a red flag to me. I know marketing gimmick is important but making such claim is really fake! How can some online page be made private when your intention is to promote your offer and make money through Clickbank? Any affiliate of Clickbank who want to promote Auto Chat Profits would have access to the sales page and make it public. It's all inside affiliate dashboard. This makes no sense to me at all. Old Marketing Gimmick! “Samantha”, the spokesperson for Auto Chat Profits further make the claim that this is the only chat software that works and she's going to give you a free license. So up to now, you must be wondering what exactly is Auto Chat Profits. Auto Chat Profits is in fact a software that automatically creates an online chatting bot website that can generate affiliate commission for you on autopilot. And it's not FREE as claimed! You still need to pay for hosting fee! I am reluctant to expose the ugly side of a program but the truth is Auto Chat Profits won't work as advertised. I've always try to buy the product that I am going to review so I could go into members area and check it out myself. But this time I decided not to because it's really a waste of my time to later ask for refund from Clickbank, if the product is not as good as claimed. Here's the members area of Auto Chat Profits that I found when doing desktop research. Inside members area, you will find all the instructional videos on how to get started. 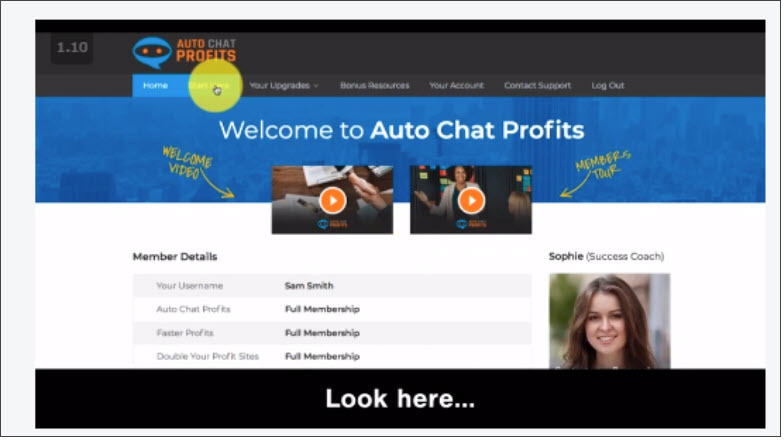 Here's a short video on how Auto Chat Profits work. The automated online chatting bot will ask your visitor some questions and later on recommend suitable product to them. If your visitor purchase one of those products, you will earn a commission on that sale. It's all automated and with multiples choice answers for them to choose from. This is only an automated Q&A system but not able to do machine learning. What I mean is this chatting bot will not be able to understand complicated answer or long form answer key in by your visitors. Neither will they become more intelligent on its own after experiencing various chats. There's no artificial intelligent here at all. Automated Chat Feature: This is consider a new type of marketing and is proven to convert better than email and ads. If Auto Chat Profits AI inside the chatting bot can be improved, then it'll be a great product at current price to be embedded onto existing website that has content. Clear Demo Video: Customers are able to view the demo of this product before making the purchase. So, there're still some transparency we can see. The only information that I found is Auto Chat Profits is subjected to law in Cyprus and its domain registrant is in a country called Belize. Upsells: Yes, I know upsells are common in any money making program. But if one can only make money by buying into the expensive upsells, then I don't think this is ethical. On top of the front end product which is Auto Chat Profits that cost $37, Below are details of the other 3 upsells. The is a made-for-you and fully-hosted affiliate website loaded with custom chatbot, sales video, articles and product reviews to maximize potential conversion. 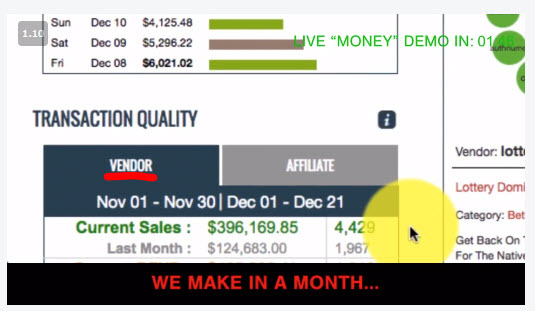 Unrealistic Earning: The sales video shows the earning of that lady where she's able to make few hundred up to a thousand dollars within 7 days. As we don't even know the real identity of this spokesperson, this might be faked. Futhermore the commission shown is made by the “vendor” but not affiliate. 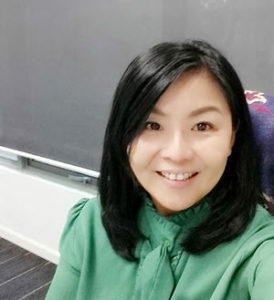 Not Disclosing Critical Information: Look, there are many people who want to start a small business online is not aware of the hidden cost involved, for example advertisement cost. And experienced marketers know that advertisement expenses can easily cost up to a thousand dollar a month, and many times, it's possible to make a loss. The sales video of Auto Chat Profits is making it seems so easy to make money using its online chatting bots without even touching the hidden cost that is involved. I think Auto Chat Profits is intentionally withholding critical information from the public to coax them into buying. Lack Control: This website is build by Auto Chat Profits and hosted on its platform. You don't really own the website, the content and not making the decision on what affiliate products to promote. Even the ready-made domain is registered by Auto Chat Profits. So literally, you don't own anything! And therefore you will never be in control, not even your own list as Auto Chat Profits do have a copy of your list too! You won't even know how they are going to monetize from it. Unless the owner of Auto Chat Profits is someone like Patric Chan (owner of CB Passive Income) who is a real person and reputable marketer, otherwise I won't advise you to invest into this product. 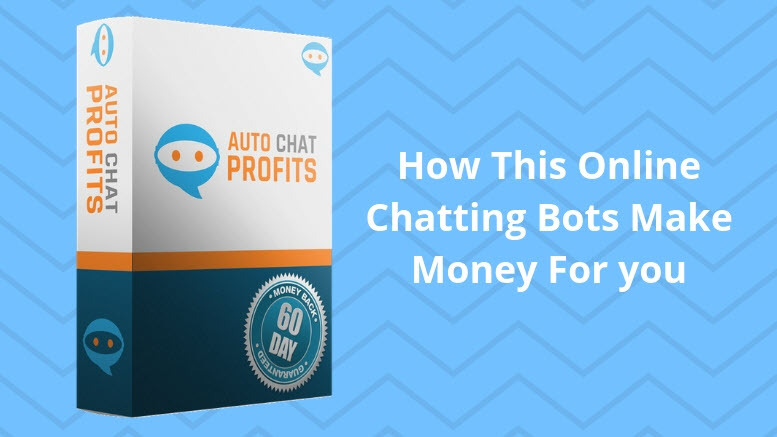 If you are just looking for short term profit, then Auto Chat Profits might help but that's provided you already know in and out about driving traffic. Otherwise, I don't think you can make any money using this system. But if your intention is to build a long-term and sustainable business that can be scaled to make unlimited income, Auto Chat Profits is definitely not going to work. Auto Chat Profits is sold on Clickbank and priced at $37 one-time payment. If you buy all the upsell, your total investment will be $518. No doubt Auto Chat Profits to certain extent can make some money for you, but this product might not be worth your investment. How much money you can make with Auto Chat Profit depend on how much money are you willing to invest MORE. Sounds weird? NOT at all! Inside Auto Chat Profits, you will only be taught one traffic strategy, that's solo ads. You can conveniently buy solo ads through Udimi. 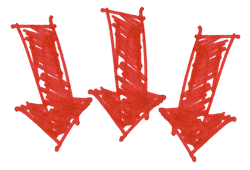 Despite it is convenient to buy solo ads, do you know there are many newbies like you lost all their investment to solo ads? I can't agree more that solo ads is the best way to generate leads or even sales. But the untold truth is you can easily get scammed by unscrupulous solo ads seller who promises clicks that can't convert to sales. Despite these solo ads sellers have a huge list, but many failed to build trust with their subscribers and therefore only few subscriber is willing to open their email. Furthermore, there is no refund from solo ads seller as long as they've delivered the clicks to you. Unless you are really lucky, otherwise I don't think you should start traffic strategy with solo ads. Alternatively, if you really want to try this strategy, I suggest you subscribe to the free funnel system created by Patric Chan that comes with free high quality solo ads training. This training to the bare minimum can reduce the risk of you getting scammed. If your plan is to build a long-term online business that is evergreen and can generate passive income for you, I suggest you to start with proven strategies used by many successful marketer. 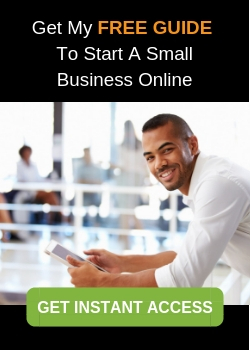 I've learned this strategy from scratch and produced a free guide so more people are aware of legitimate and ethical way of starting a small business online. By following this guide, you will have full control of how you want to run your online business. Unless, you really want to build a sustainable business online, otherwise I won't recommend you to get this guide as it's quite lengthy to read. I hope by now you already know more Auto Chat Profits. If you have any question about how to start a small business online, do leave me a comment below. 14 Comments on "Auto Chat Profits Review: How This Online Chatting Bot Makes Money?" This is such a great and informative article especially for someone like me who is new to all of this. I really appreciate an honest review from someone and not just telling us what we want to hear in hopes of us buying a certain product. Like I said I am new but can you explain the whole upsell thing, I really dont know much about what that means when it comes to a product like this. What most black hat marketers do to lure you into buying the low quality front-end product is by giving you an extremely low price like $37 or $27. Most of these products can’t help you to make any money as claimed inside their high pitched sales video. What they want is to get your “email & commitment to buy” at low price. Once you are inside members area, these program will offer you few upgrades with promises that you can make money “even simpler and quicker”. These are all tactics to game psychological aspect of human-being. Most newbies will fall into the trap and try the program for few weeks but to realized it’s not so easy to make money as claimed. But because learning takes time, many people will not ask for refund and will just let their investment goes down the drain. That’s human nature. So if you ever see any such program that promises the sky at super low price, I bet mostly are low quality program with a few upsells. Marketing industry evolves very fast and tactics used today may not work tomorrow. Therefore, it’s important to join program that constantly update their content so you can get hold of better strategy too. For free traffic strategies, I suggest you to join Wealthy Affiliate, whereas if you prefer paid traffic strategies, I suggest you to join CB Super Affiliate Training or Stack That Money. All three program have proven to help people make money on a long-term basis. I wanted to know about Auto Chat Profits and I am glad that I found this article because this article had everything I needed to know about Auto Chat Profits. I learned a lot about Auto Chat Profits including what it is and what it has to offer us. So after reading this review I understand that even though Auto Chat Profits is not a scam at the same time it is not worth the time. I really appreciate you for sharing this review with us. Glad that you find my Auto Chat Profits useful. Actually, like what is seems to be, now the sales page is taken down! This product is no longer selling. Hi Florence – great review of Auto Chat Profits. This one is new to me, I had not heard of a program utilizing automated chat software before. Very interesting, but I am very skeptical as well for the reasons you have pointed out. Thanks for the review and all of the information you have provided. Hi Michele, glad to know that you find this review valuable. However this product is already discontinued after launched for less than a month. That’s pretty weird for me. I guess the owner is just trying to make quick money. That’s why when choosing a program to start online business, it’s better to choose one that has longevity. That’s why I started with Wealthy Affiliate, one that’s established for 14 years and is still growing. They even have free trial for life! Here’s the link to register for a free Starter account if you are interested. This was an excellent review of the Auto Chat Profits tool that is being offered on Clickbank. As I was reading through your points, the red flags kept popping up in my head even more than you kind manner of questioning many aspects of the offer and tool. These days I am so careful about what I spend my money on for online tools and prefer to not spend any. The tool has to offer something of value, much more than the price asked for it. In this case, I just do not see that value. There are better ways to market. No doubt there will be many unhappy owners of the product and I am sure that the refund rate will go up. You mention it is a hot item right now (lots of interest from promoters/affiliate marketers) but that may be due to the commission they are getting. I prefer to promote ethical products that I actually use for my own online marketing business. I can speak about the value they add from my own experiences. This is not always the case, but I do try to gain reviewer access even if I am not going to buy the tool. Many legitimate vendors will allow this review access, but that is hard if you cannot discern who is the vendor and how to contact him! That would be enough for me to walk away from promoting the offer. The other thing I notice about the Auto Chat Profits are the expensive upsells. These types of less than stellar product offers often start with a low or reasonable front end offer, then push overpriced and underperforming upsells. I have seen it time and time again. This is not something I would want to recommend to people that trust my judgment and recommendations. Thanks for your sincere review and I think you may have saved a lot of people from losing their money on this tool! I think maybe Auto Chat Profits is already facing challenges with their software. Today I saw that the software is no longer available for sale. How can a software be out of stocks? Never heard of this before. Thanks for providing a nice review of Auto Chat Profits. I think the basic concept of the program is good but if you have no control over the website and the products it’s going to promote, then I really think it is not worth investment. Plus you need to invest more than $500 to get whole of the package. Solo ads is not the only way you can drive traffic to your website. And we all know that within a week it’s really difficult to get such results, of earning thousand dollars. I don’t think Auto Chat profit can earn a sustainable income for anyone, which program would you like to suggest for earning money online? Actually, I started my online business with a program called Wealthy Affiliate. It teaches members how to earn affiliate commission through blogging, focusing on free traffic strategies. It is a great program but there’s only little training on paid traffics. That’s why if I ever want to invest $500 on another program, I rather spend my money to invest in Stack That Money forum to learn about paid strategies. It’s a great forum where members share their proven paid marketing campaign that converts well. Is a quiet popular program,Learnt so much about Auto chat profits which I never knew before, the disadvantages are more than the advantages of using it.the idea of viewing it before purchase is very good, Making the page private I don’t think that is a good idea though, but there shld be reasons for that. I guess this product is not meant to be sold as a long term product. Today, I just found out that Auto Chat Profits software is discontinued! Something must be wrong with their product. Otherwise I can find any reason on why any software product will be “SOLD OUT” as announced in their sales page. Auto chat profits appears to be like so many other online programs that are either scams or just don’t work.There appears to be too many “unknowns” here. I’m not really sure how this works other than it’s Clickbank products.The $37 one time payment seems fair, but the upsells are very expensive! I wouldn’t invest in any product that doesn’t totally disclose itself.And for $518, I will pass. I’ve seen other programs that are real and legit like Wealthy Affiliate.Why would anyone invest in Auto Chat Profits when you could invest in a real winner such as Wealthy Affiliate? I just found out that Auto Chat Profits just took down its sales page. Seems like they discontinue this software on the pretext that it was sold out! This is the first time that I heard a software can be sold out. That’s just so fake. I guess is just to prevent complaints from existing customers as this software can’t possible make money for their customers on auto-pilot.